Authentic black Batman pint glass. 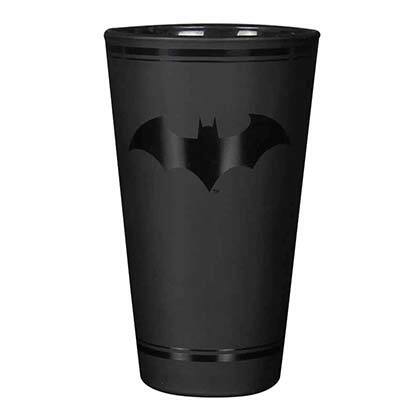 This glass features a gloss finish "Batman" logo for a subtle and stylish nod to the Caped Crusader. 400ml glass with matte black finish. Officially licensed.